With a training program in place, the seeds for this year’s Team USA were planted two years ago, after Tessier won the silver. “I think the day we took the silver someone asked me if I was going to do it again, and I laughed and said it was like asking someone who just gave birth if they wanted to have another baby,” he says. After losing the gold by only nine points, he was tempted to endure the competition labor pangs again, but only if he didn’t see a strong showing of new candidates for 2017. But then Mathew Peters, a talented chef from Per Se who had worked with Tessier at The French Laundry in 2010 asked him to dinner. So was Tessier. He was the executive sous chef of The French Laundry when he was selected to represent the U.S. in 2015, and left the restaurant while training for the competition. 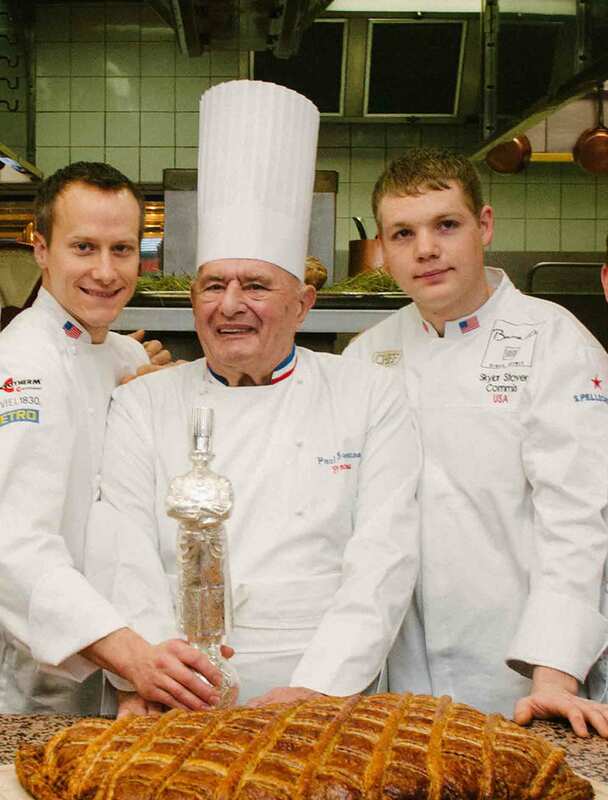 Sensing the momentum to push the American Bocuse team to gold, he negotiated to be hired by ment’or as the team coach. 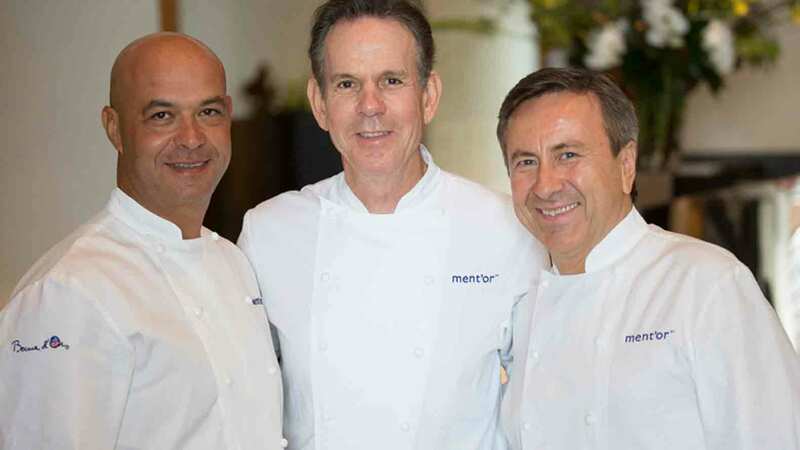 Boulud recognized that Tessier’s win only increased the possibility of Team USA one day taking the gold. “We looked carefully at who was winning and how, and we joked that we had to ‘crack the code’ to the podium because some countries owned that code and we didn’t figure it out yet,” says Boulud. 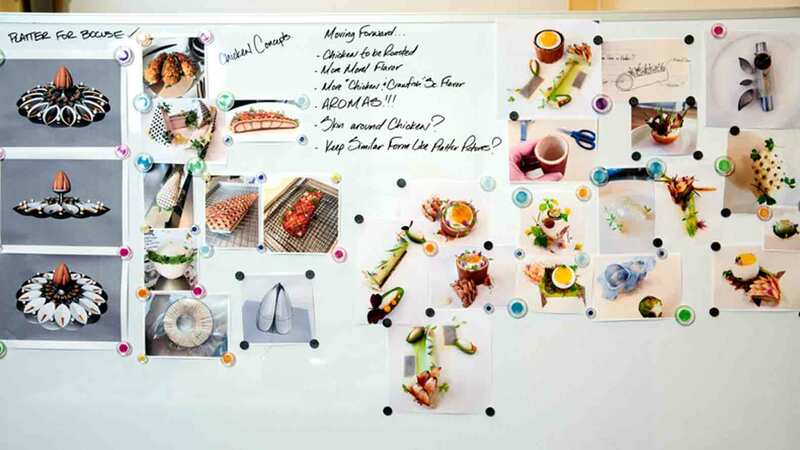 Determined was probably a better word to describe Harrison Turone, who was staging around San Francisco with a dream to work at The French Laundry. Getting to work at Ad Lib felt more approachable, and he was hired. It wasn’t long before he caught some of the Bocuse fever. “Everyone knew they were looking for the next guy after Phil won silver,” says Turone, who had read about Tessier and his commis, Skylar Stover. 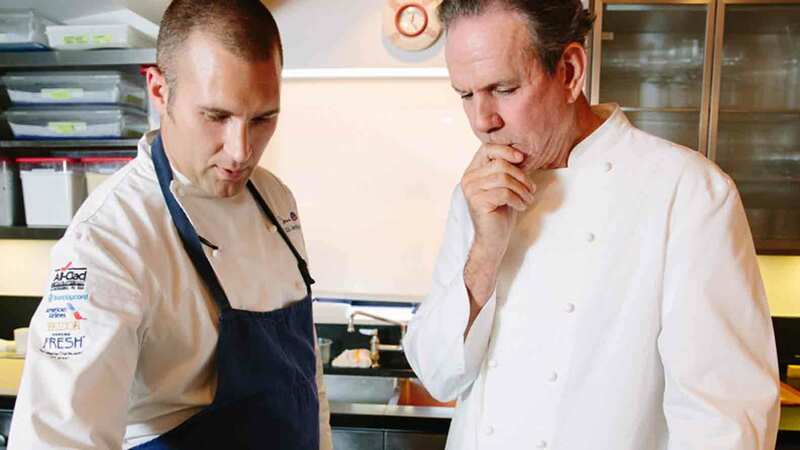 Tessier in turn heard about Turone and connected him with Stover so the two could train together for an upcoming Young Chef Competition. 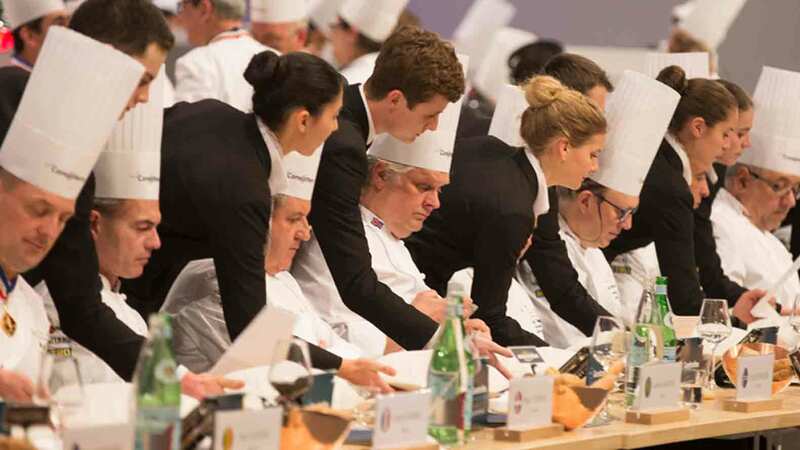 The contest wasn't originally associated with finding a Bocuse commis, but knowing that Bocuse knowledge is power, Tessier pushed for them to change their format and allow past winners to join new talent on the team. “We trained for four months, so it was kind of a grooming process for me,” says Turone. 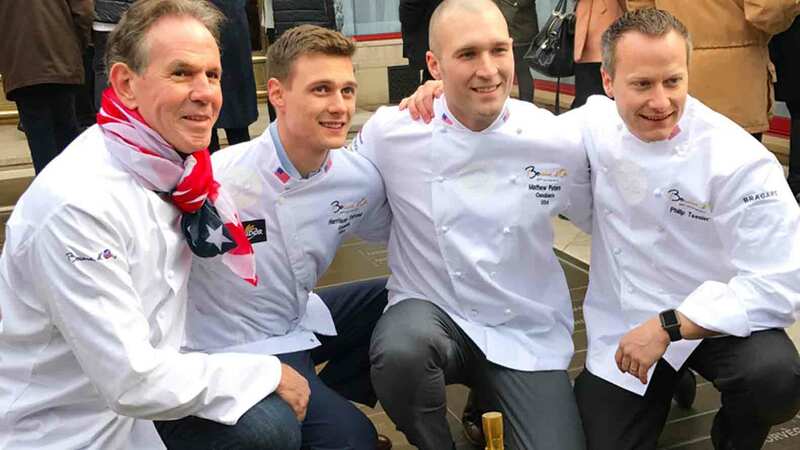 After the duo swept the competition, Tessier sent Turone to Per Se to meet Peters and begin training to compete in the Team USA National Selection, where the Bocuse team would be picked. 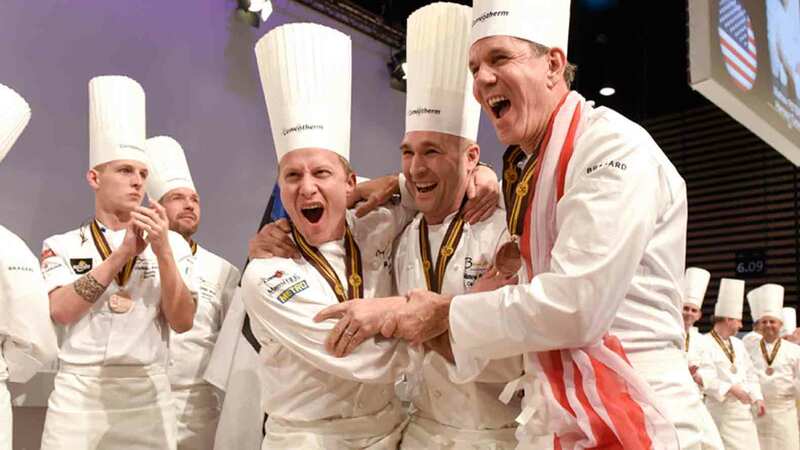 By December 2015, they made it to Vegas for the Team USA National Selection—a smaller scale Bocuse competition, at which teams had four and a half hours to create a salmon and pork loin dish for judges including Boulud, Jérôme Bocuse, Keller, Kaysen, Josiah Citron, Ming Tsai and others. 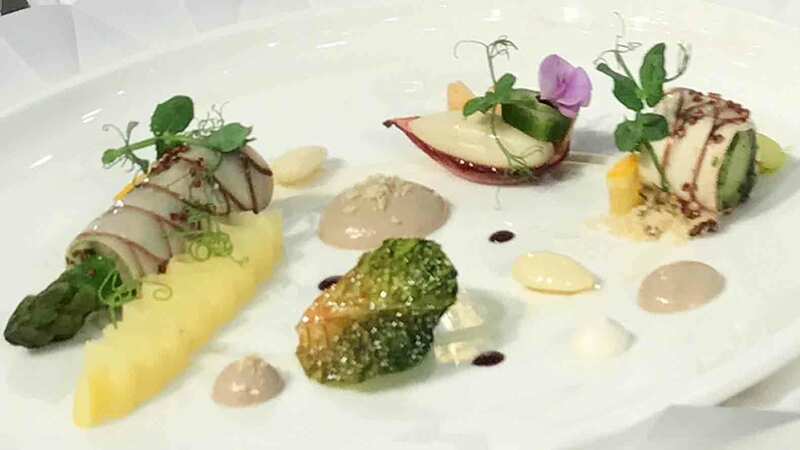 Turone and Peters took the top prize, then returned to Per Se for a couple of months before beginning the R&D portion of their Bocuse training. Although Peters left the restaurant to train, Turone stayed, completing his shifts and then pulling all-nighters reading so he could go back to Peters with ideas. 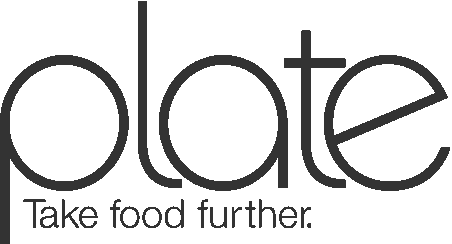 “We’d just create and play and bounce off the energy of the restaurant and each other,” says Turone. 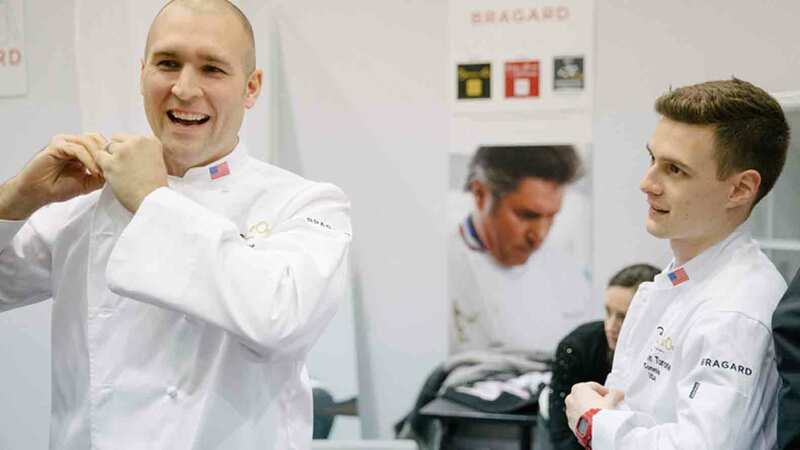 That energy between chef and cook is what fuels the Bocuse d’Or and Team USA’s growing success. After a few months, Peters and Turone took their training to a kitchen facility in Napa, where a kitchen was recreated to almost the same specs as the one they’d have in Lyon. 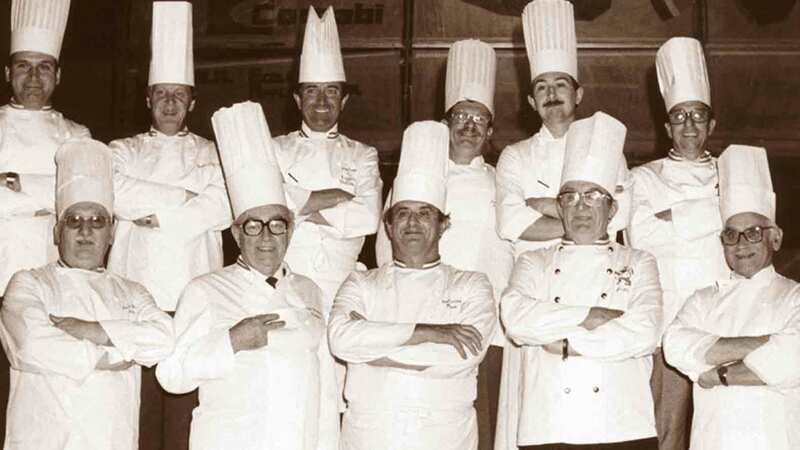 Bocuse competitors didn’t always have the luxury of practicing in a replica kitchen. When Kaysen competed in 2007, he had to take over half the Sunday brunch line at El Bizcocho at San Diego's The Rancho Bernardo Inn to train, while still working there six days a week. Tessier had to train out of residential kitchen space that wasn’t to scale in 2015. 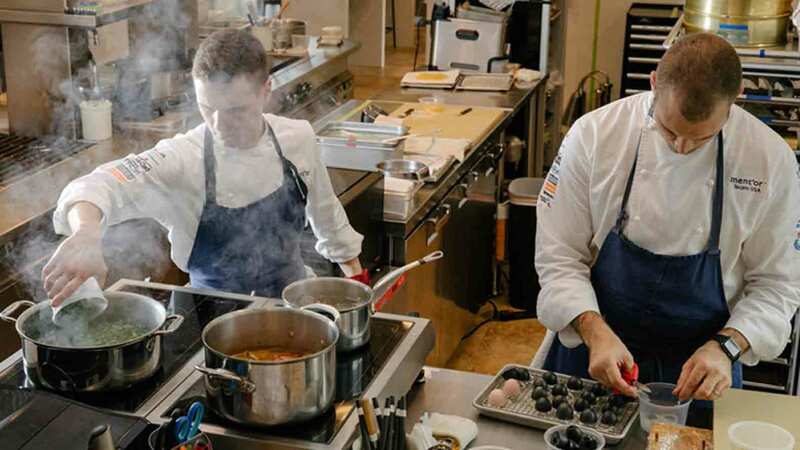 When Richard Rosendale competed for the U.S. in 2013, he trained out of a replica Bocuse kitchen they built inside a bunker at The Greenbriar, where he worked. 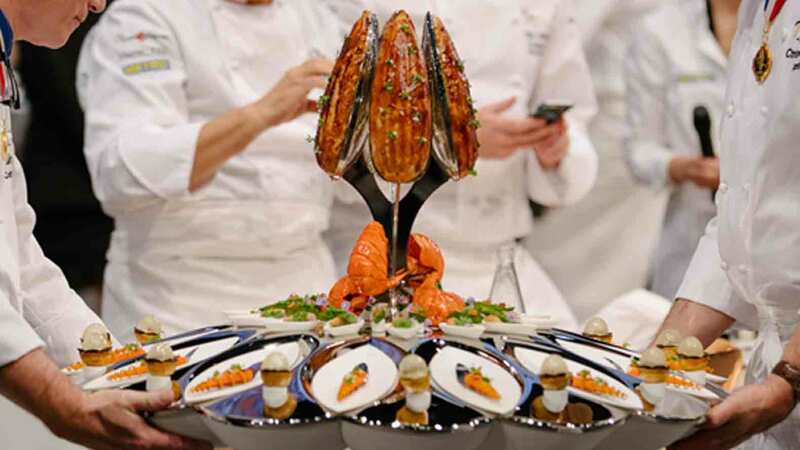 This fall, a Bocuse replica kitchen will have a permanent home at The Culinary Institute of America at Copia, in Napa. The kitchen will have the same refrigerated tables, sink, combi oven, burners and counter space they get in Lyon. Once it opens, Team USA will officially have an official training ground—complete with everything but the noise. Many fine dining kitchens are quiet. Not the Bocuse d’Or. So when Peters started training, he did so to blaring music from Belgian’s largest techno music festival. “It was 15-minute techno bursts which started out being annoying, but then it was like, ‘get the [music] let’s go!’” he recalls. Not only did the music help keep his energy up, it also recreated the blaring nonstop techno tunes they’d face in the arena on competition day. “We didn’t want to be the team that was criticized for Super Bowl training in an empty stadium,” says Tessier. To further recreate the energy, their chef friends and other VIPs would come out to watch Peters and Turone practice while rattling cowbells and screaming over the music. “You get there and you can’t hear each other, so we wanted to be as realistic, if not make it harder,” Tessier says. A little extra incentive came when Turone stumbled upon a motivational speech by Arnold Schwarzenegger online, and played it on full blast for everyone in the kitchen. “From that point on, we’d play it before every run and do push-ups,” he laughs.